Good morning! Just enough time to torment you with some Blogger's block photos today! I am so happy with how this turned out. 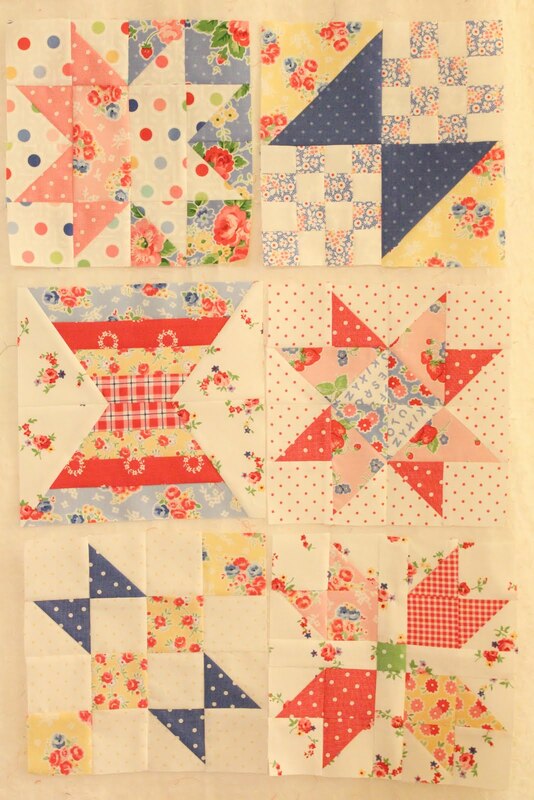 What a darling block from Amy. Sorry my photoshop skills don't include making this any less awful! But you can see what a nice group of blocks this is. You know it's not too late to join in. Sometimes it's just fun to have something you can't work on more than once a month! I encourage you to stop and smell the block of the month roses with us! Welcome back to Monday! Those weekends just aren't ever long enough, are they? 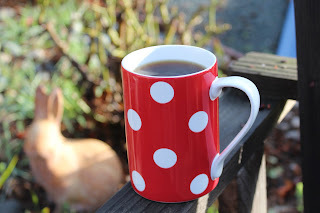 Saturday was the Blogger's Block of the Month day, did you check it out? Get yours sewn? I'm a little afraid to check the flickr pool. 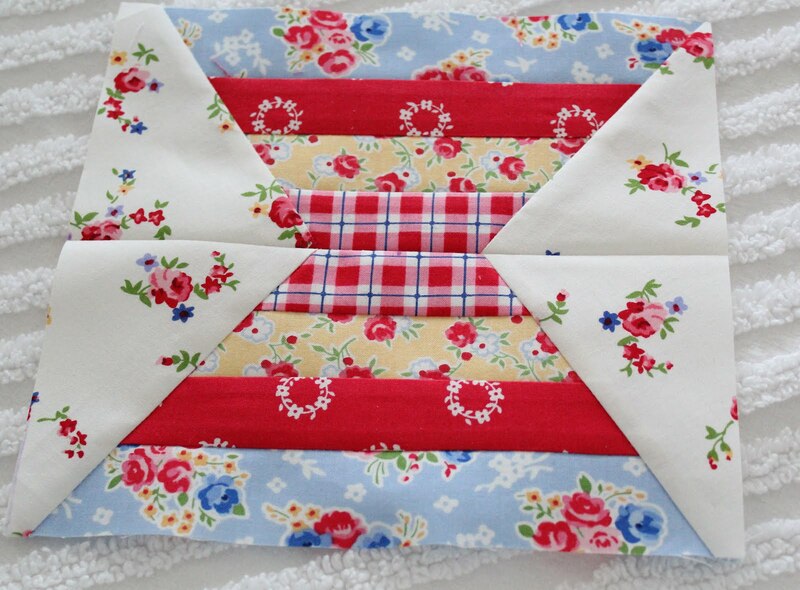 I'm only as far as making my half square triangles. 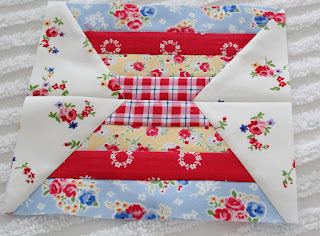 Amy did a nice job with this block. 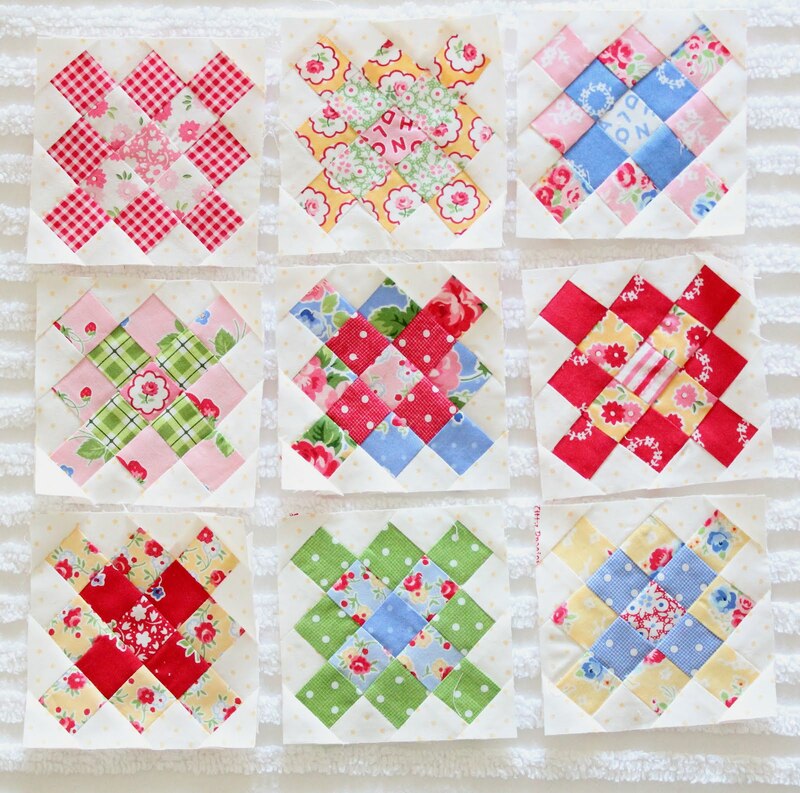 Did you see how cute her blocks are? 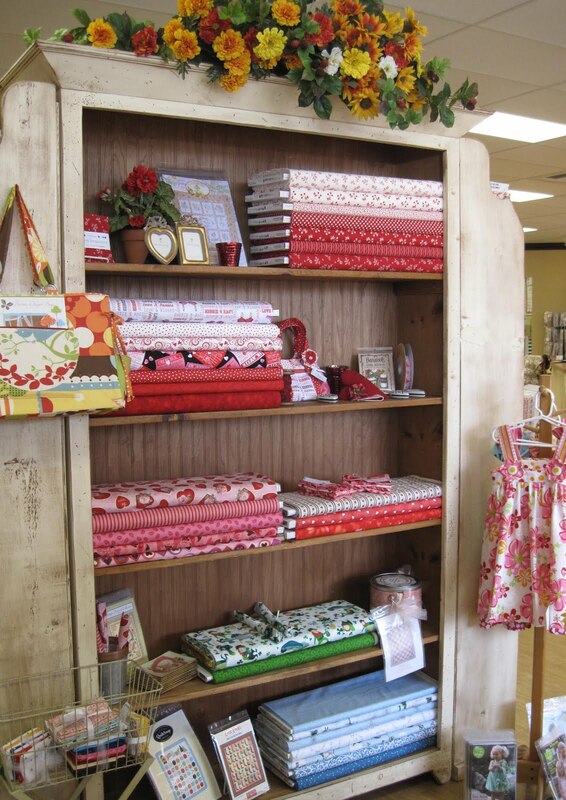 Darling fabrics. I love looking at all the different combinations people have going. 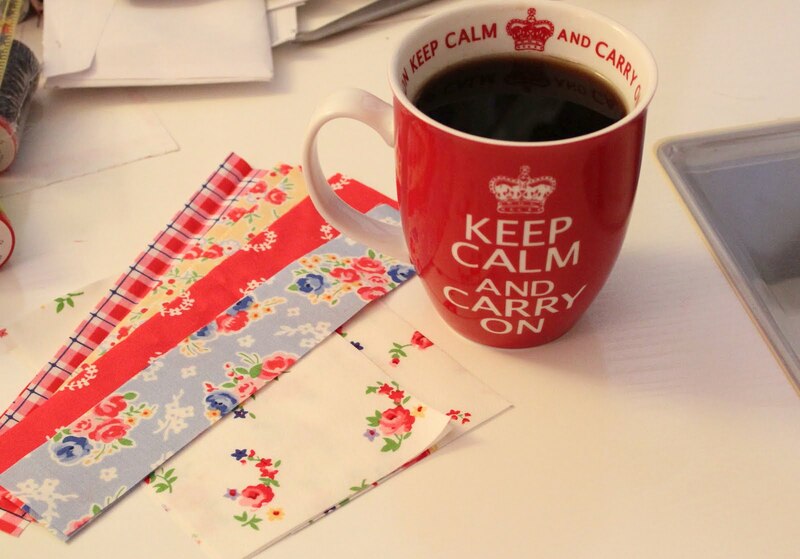 Morning Glories! How are you? Things are perking along here. Of course as soon as my little block error was pointed out I jumped on fixing that. How could I have missed that yesterday? Too in love to notice it's little flaws? 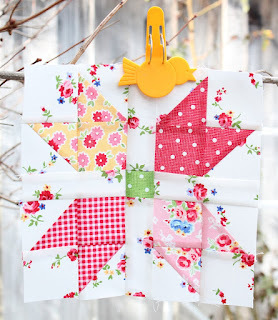 Did you see Randi's cute little quilt? 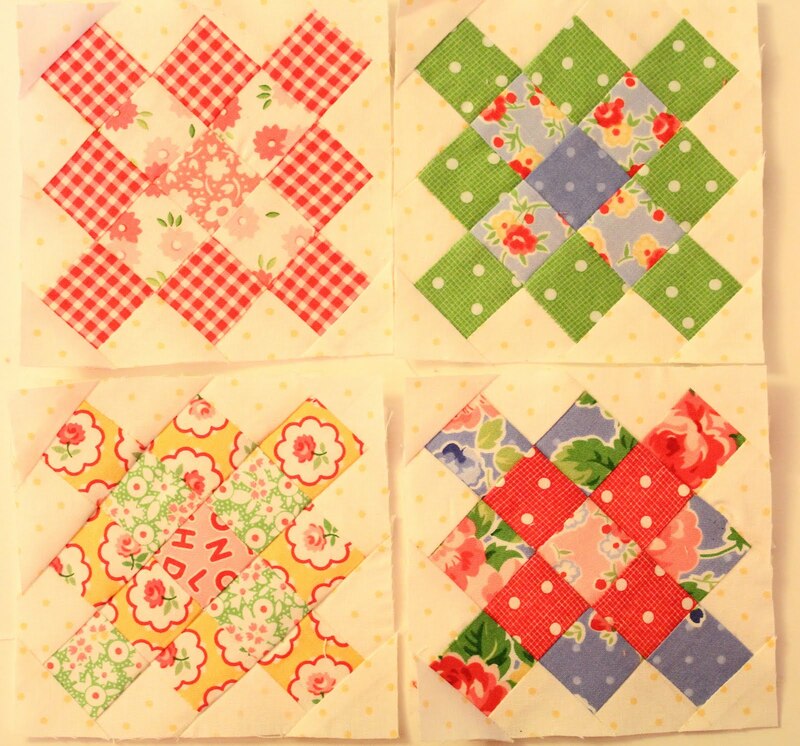 I'm fighting the urge to finish up with these 9, but think I'll try for at least 16. I'm not sure yet. Luckily, I don't have to decide. Ok peeps, busy day ahead so just in case I don't check in tomorrow have a super awesome weekend! 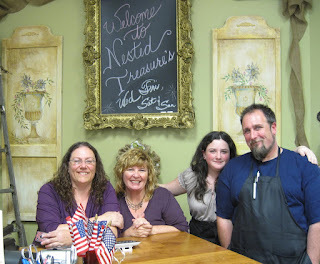 Luckily last Saturday I was reading through my blogroll and found out about Nested Treasures in Livermore. It's an open one weekend a month shop, and it was open over the weekend. Super nice people there, very warm and friendly atmosphere! 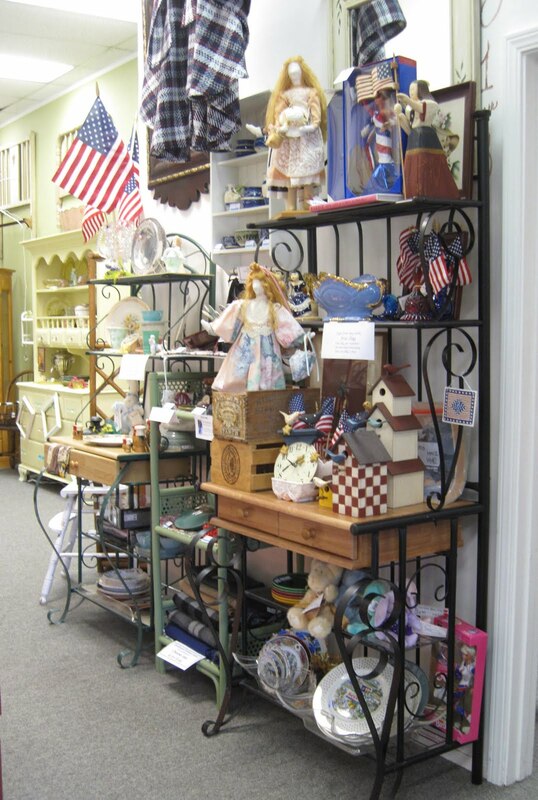 Lots of treasure to be found and I look forward to having a new place to shop. Of course I'm filled with regret about a wonderful vintage goose yard ornament I saw. Dang it. Maybe it will still be there next month. What I don't understand is, why didn't my friend Ann R. tell me about this! Ann???? YIKES I totally didn't notice the yellow one has two pieces turned around! Dork! Good morning! Did you have a 3 day weekend? What did you do? No 3 days off for Bret, he was back to work yesterday, so in that spirit I tried to get some stuff done around here as well. But boy those quilt blocks are calling me, especially after seeing Nicole's cute pink and red blocks. First things first, Michelle has found bird clips on Amazon. It's a nice assortment of colors too. Thanks Michelle. Second up this morning, the formulas for setting triangles. For some reason this calculation isn't always included in books. I keep thinking I will write all the formulas on an index card and post it on my wall, but then I never do. Anyway, here you go! Ok, nobody has to stay after school today! Have a great one! 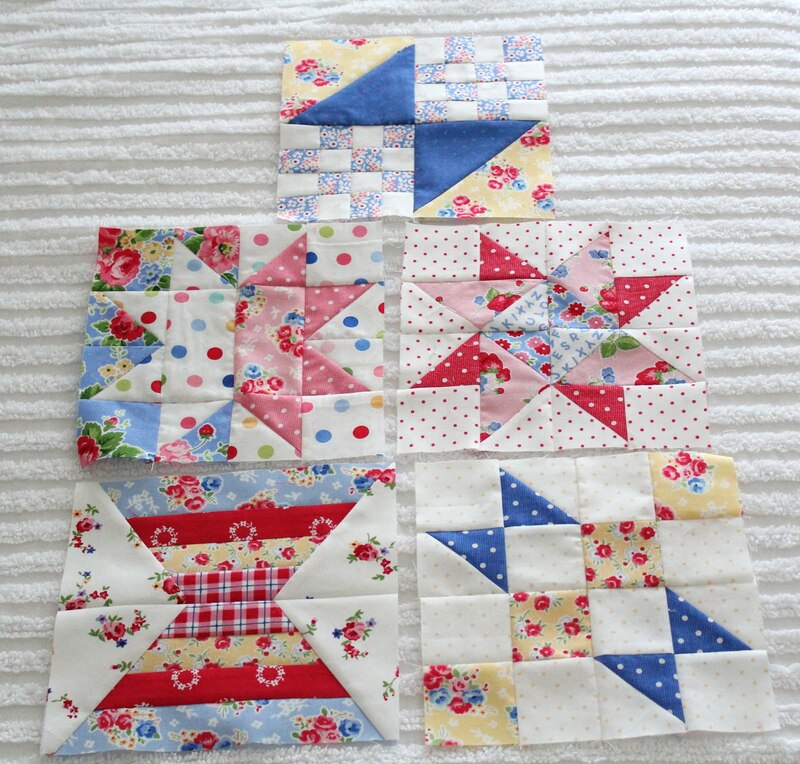 I totally cut out my strips for the granny along, what about you? I cut 1 1/2 inch strips of all my pkm, and I'm using my FAVORITE yellow dot on white for the background. 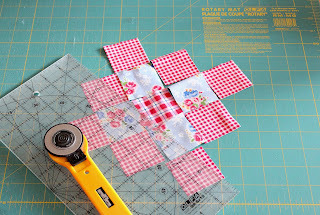 My piecing isn't always that great, so I've decided to use setting triangles for the blocks which will keep the edges on the straight of grain. I'm old school like that. My block is 4 3/4inches unfinished and it's so dang cute I can't stand it. I am planning on making these till I'm bored which could be one more or a thousand and any amount in between right? Last week someone asked about the clothes pin. 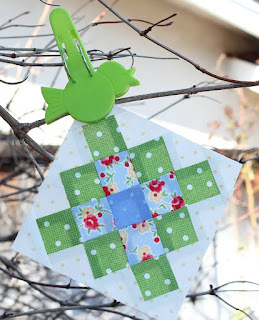 WAY way back when I first started blogging I saw these bird pins on some blog. LOOKED ALL OVER, and unbelievably Elizabeth found some on her vacation way back when in Ireland maybe. Paid a fortune and she split her bag of them with me. Fast forward to some random trip to Daiso and we find BAGS OF THEM for $1.50. Isn't that the way things go? Good morning. Finally it's Friday again, another week just flew by. Any big weekend plans? Just the usual around here. Time to pick a winner and pick one I did! 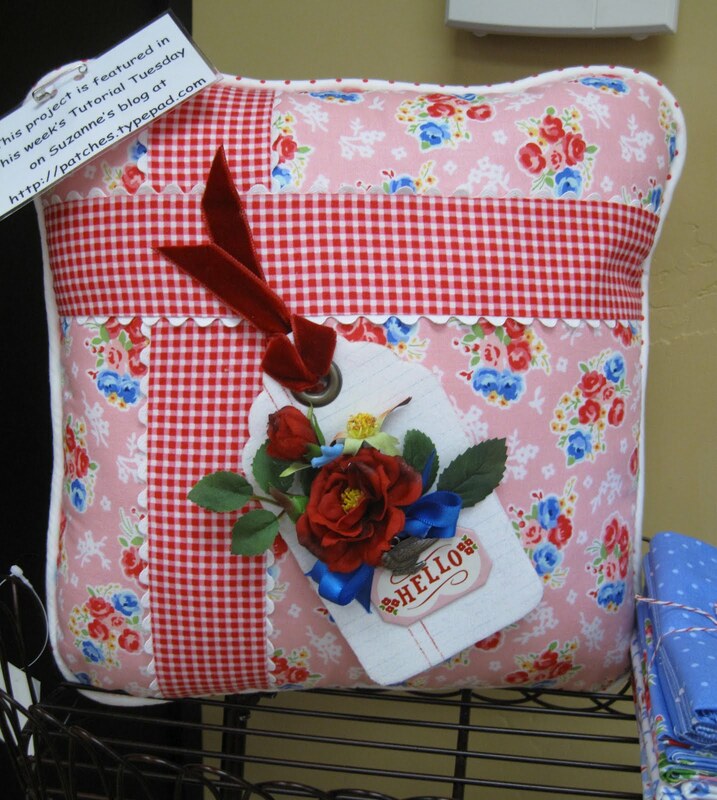 Miss Sherry, please email me your mailing address and I'll put your cute little sewing caddy in the mail. Didn't win? That's the really cool thing, you can order one from Hunka here! You know you want to!! Thanks for commenting everyone, and thanks to Sharon and Hunka for my own little red caddy! Good morning my sew sweet friends! How are you? 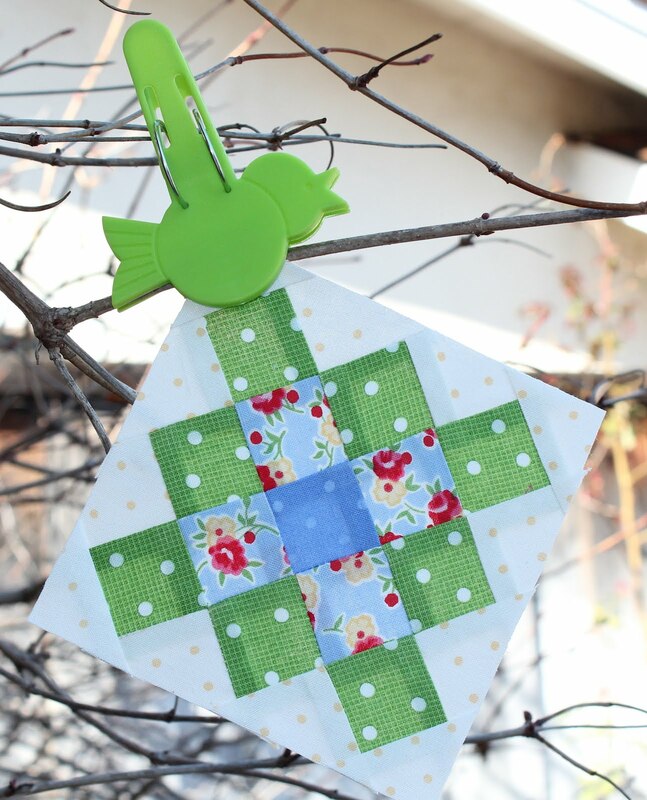 This morning I'm obsessing a little about the granny square blocks that are showing up online. Have you seen them? 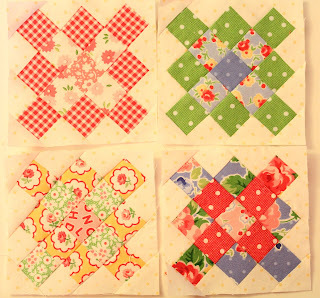 I got caught up in some wonderful blocks on Pinterst, seen here and here. 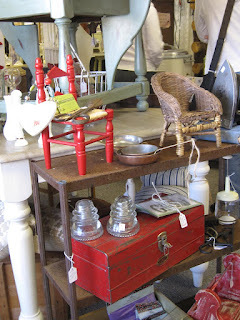 And if those aren't tempting enough, check these out. Or these. 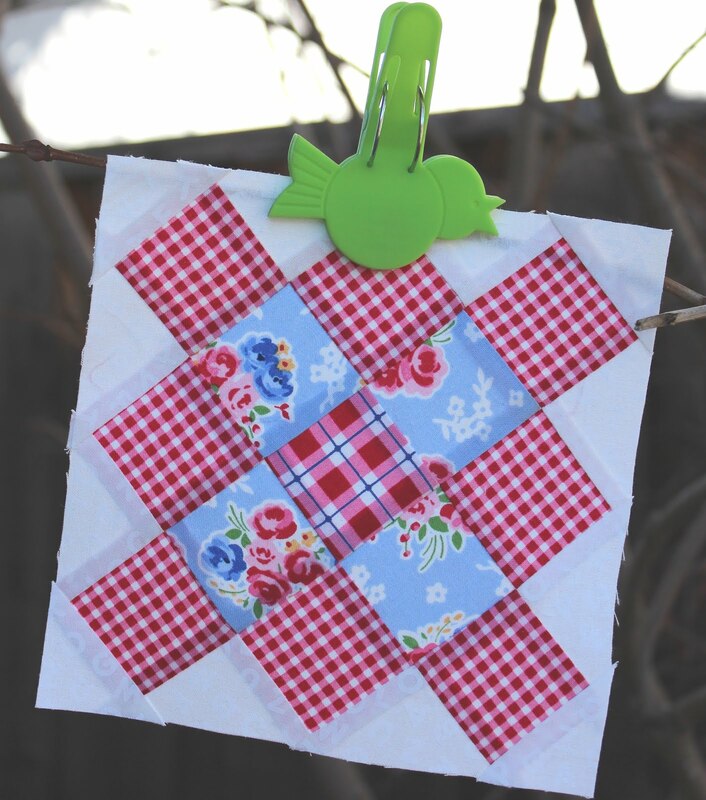 And if you like encouragement, check out this quilt along. Not even tempted? Check out the flickr group first. I used 2 inch squares for my test block, I think like Randy I would try 1 1/2 inch if I really go for it. I confess that I cut regular setting triangles for my background pieces though, I like to try and control the bias edges. 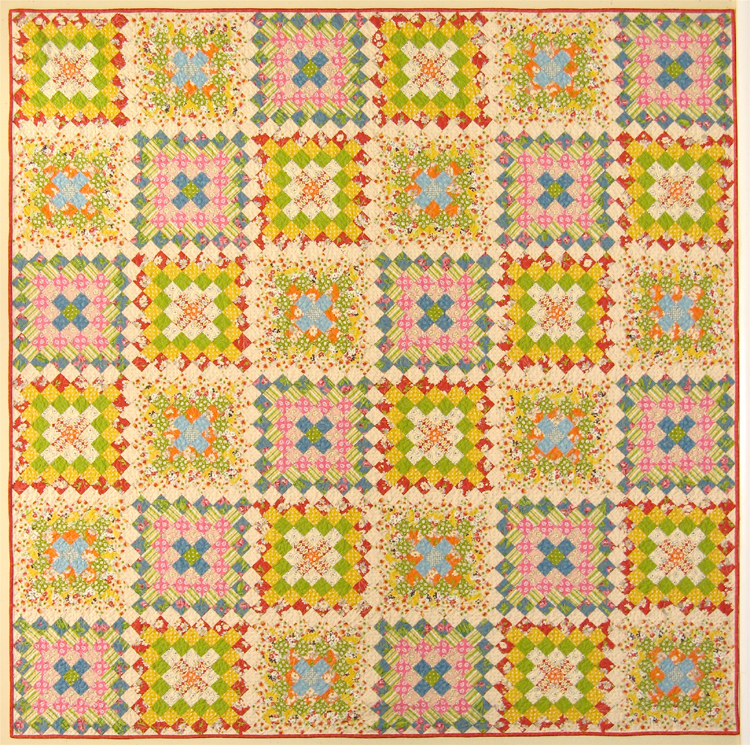 Years ago American Jane had a wonderful pattern for an even more intricate version. LOVE! I'm not going to lie, I've watched a few episodes of the Simpsons in my time. So yesterday when Frankie called me in to see something on TV I just cracked up. 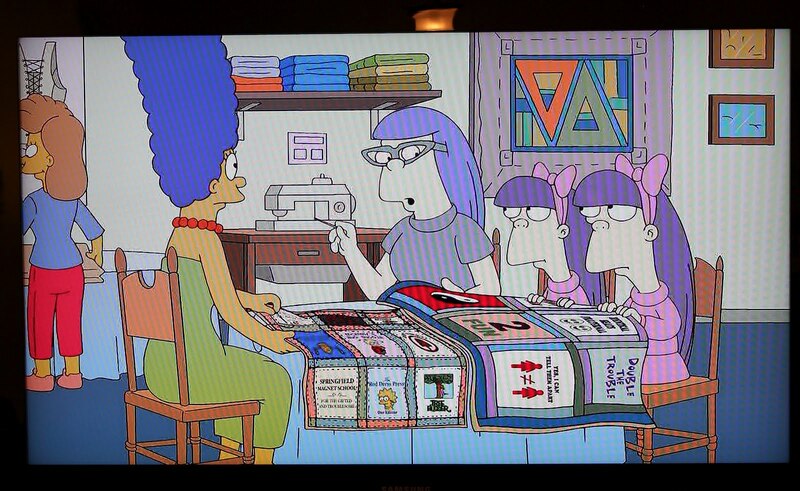 Of course it's t-shirt quilts. 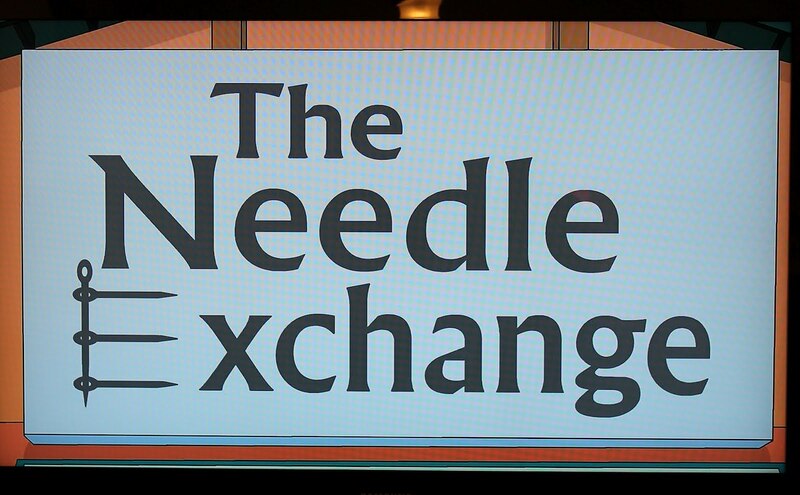 I mean you don't expect a Baltimore Album on the Simpsons. Still hilarious to me. I haven't seen the whole thing, but I'm told this is the only sewing in the show. Check out the t-shirts. Honestly I laughed out loud when I really got to looking at the pictures. I wonder how this came up? So that's it for me,what's new with you? p.s. 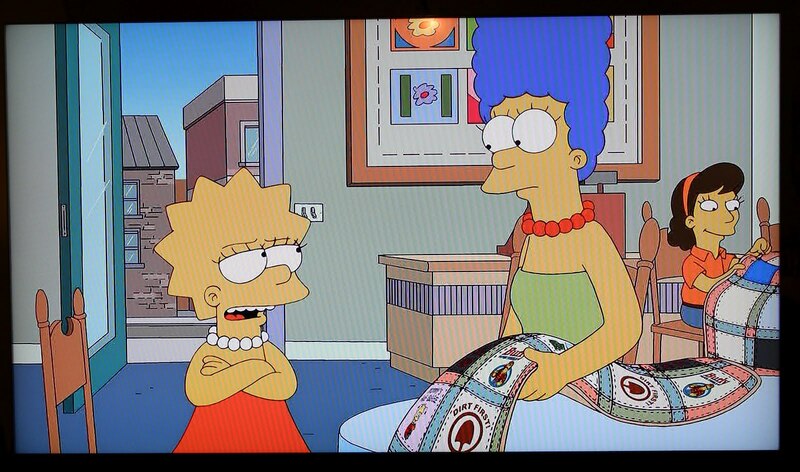 Seriously, there was an heirloom quilt early on in the Simpsons.. Bart's dog chews it up. Looks suspciously like a cartoon Baltimore Album. You can see 3 pictures of it here.. rows 2, 3 and 4 column 4. Hilarious. I love the internet. Good Morning! How are things going so far? You just never know on days like this, right? Cute right? Yesterday I was super surprised to find a box on my doorstep! 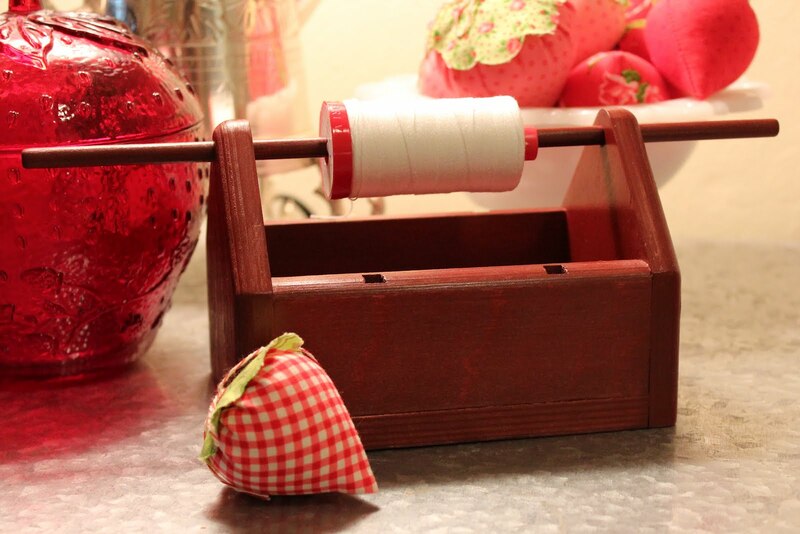 Sharon had sent me a cute little RED sewing caddy. I'm so envious of her with her "Handy Hunka" Dennis. I met them both in 2007 and they're still just as cute as they were here. I've always had my eye on these darling caddy's, it's so practical for handwork like binding, bring all your goodies with you to the table. In fact I'm pretty sure I will load mine up just for binding and then it's always ready for me. 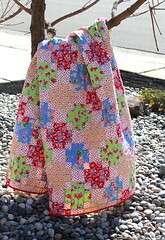 Hunka makes these cute caddy's in large and small, and also a bunch of other really fun things. You can take a peek here. The best part of this is, I'm not just taunting you with the great gift I received! Hunka sent along an extra caddy so I can treat one of my readers! Just leave a comments and I'll pick a name later this week. Thanks Sharon and Hunka! I had kind of a restless weekend, what about you? The time just slips by, but I don't really remember what all I did. Not in that Lost Weekend way, but in that I didn't do much way. 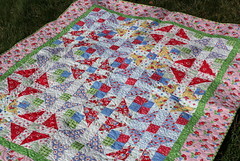 I did get my two quilts bound. First up is Criss Cross. 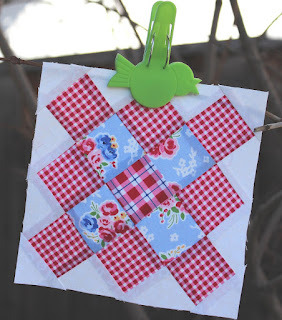 Super easy quilt, and while I don't normally hang a quilt in a tree, it's the best I can do on a glare filled day. I know, lame. 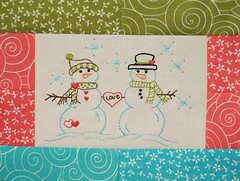 Next up Winter Romance done in PKM fabric. 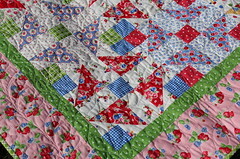 I really like how this quilt turned out. 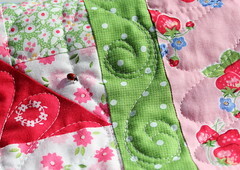 Diana did some wonderful custom quilting on this quilt, and it looks really good. Off to deliver these to Wooden Gate today. What's up with you? Here is Friday again, almost before we knew it! Sometimes the days drag on, and sometimes they fly by. What's with that? 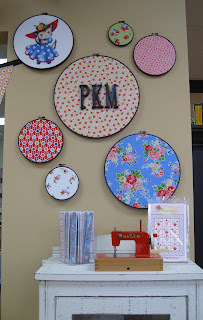 I'm sure you saw these on Melissa's blog, but if not, look how darn cute they are! 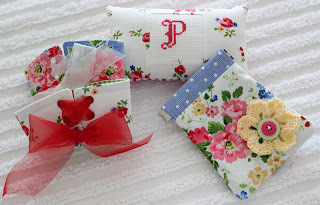 I'm again the happy recipient of some of Melissa's adorable projects. Honestly they're so cute I want to just store them under glass so that I don't muss them up. Do you do that? Because I hope I'm not alone! Yesterday I whipped up my block. Of course in all my attention to the center of the block I totally ignored the bottom. I'm still trying to ignore it. Don't call me out on it ok? This month is sporting my favorite combination of fabrics right now. Well for today anyway. I can't help but think of those asterisk blocks and how I could make those suckers really match up from block to block. But I digress. I just need to relax and make it. This past weekend my car had some problems. Turns out that it has a bunch of little brains in it, and one of them knows who's driving the car and adjusts how it shifts to that person. I know, Orwellian plot right? Anyway that brain had a bit of a meltdown and a new one needed to be ordered so it would shift properly again. Last night we picked up a loaner because it will take a few days to get said brain. 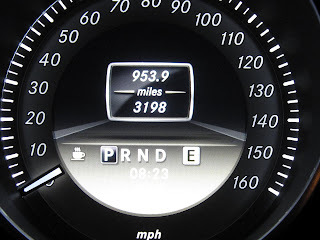 This car has a little coffee cup icon, how cute right? I'm thinking what kind of brain knows I like coffee? I wasn't even driving at the time. The cup is just there when we turn it on. Turns out this car has a bunch of brains as well. 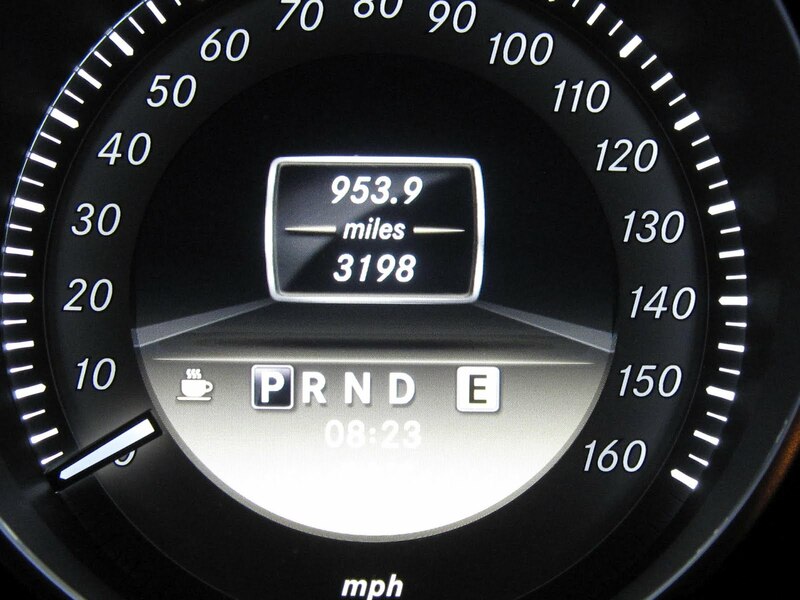 One of them knows how you normally drive and when you're driving 'drowsy' it supposedly warns you, with that coffee icon. Not much of a warning to me, but what I find funny is, each time we turned the car on ( without the key mind you, I mean really, I don't even have to think myself anymore, the car does it for me) the cup is there. What the heck was up with the last person driving? Yesterday was pretty gloomy here, what about there? I couldn't believe how dark it stayed in the house, and of course it's hard to notice the day moving by when it constantly looks like 7am inside. Monday was wonderful. 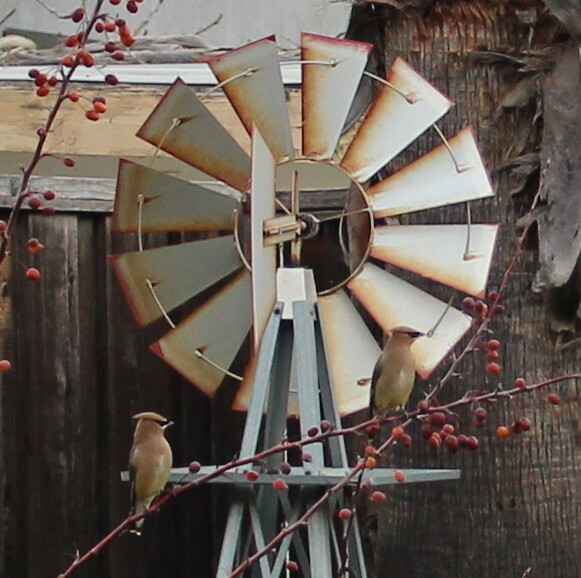 My day started with a backyard full of beautiful Cedar Waxwings. They come through one day and I always feel lucky if I see them. 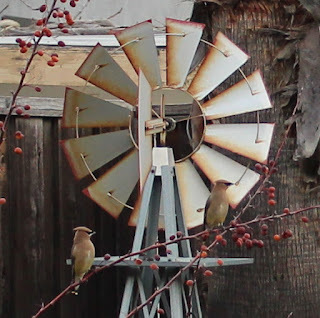 When I was growing up our kitchen window overlooked a hedge of Indian Hawthorn bushes.The Cedar Waxwings would come in a huge flock to eat the black berries. Very beautiful. 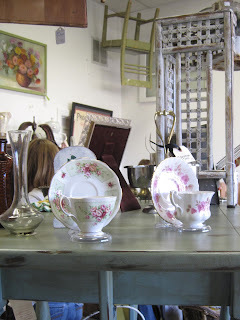 After that I headed over to Holly's for the day. That usually means a delicious lunch. Yesterday was no exception! 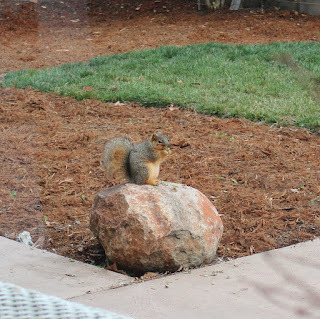 This fellow is a frequent visitor. 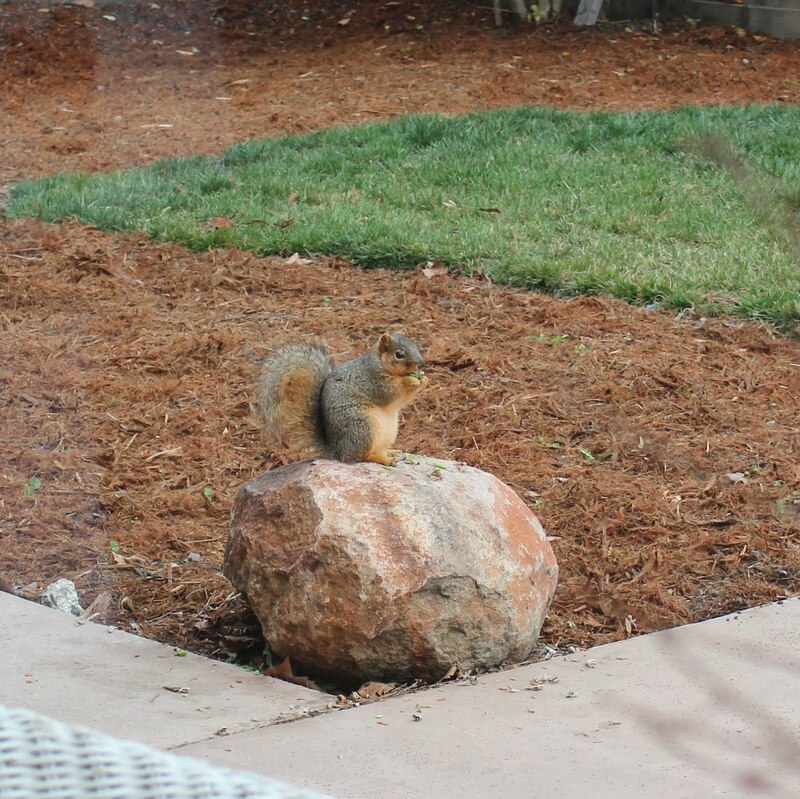 He loves to sit on that rock and eat green berries off of one of the bushes there. He is a great model, he poses and then waits for me to get my camera. Good morning! What did you do yesterday, watch the Super Bowl? 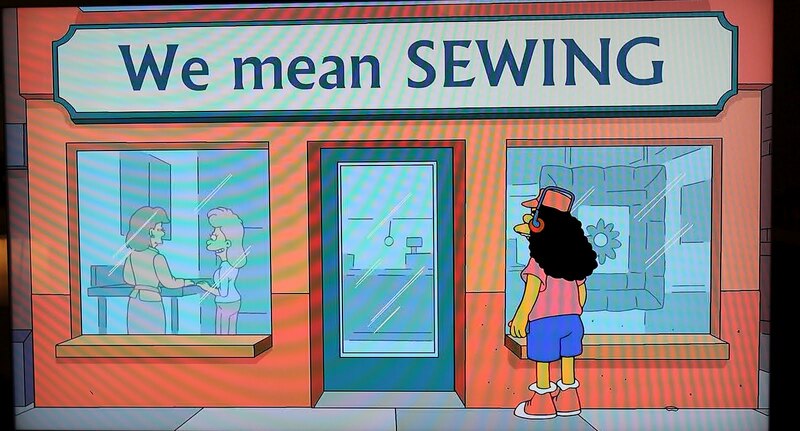 Sew? Shop? 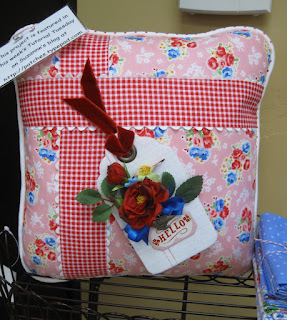 I had a good sewing day myself, with a nice fat Law and Order Marathon going how could I resist. But today it's time to talk a little about the trip. We left Saturday and drove straight to Strawberry Patches. It's just about 4 hours to get there, but it's totally worth every minute! 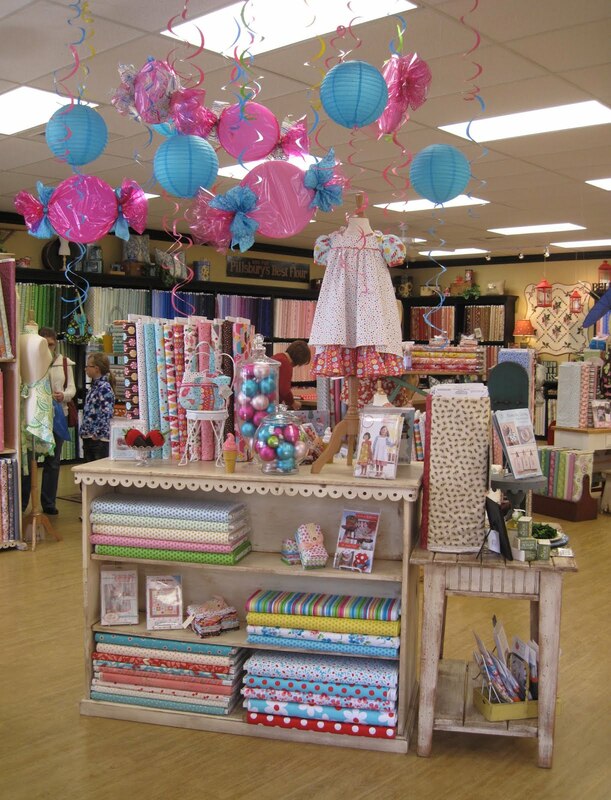 What a darling shop. 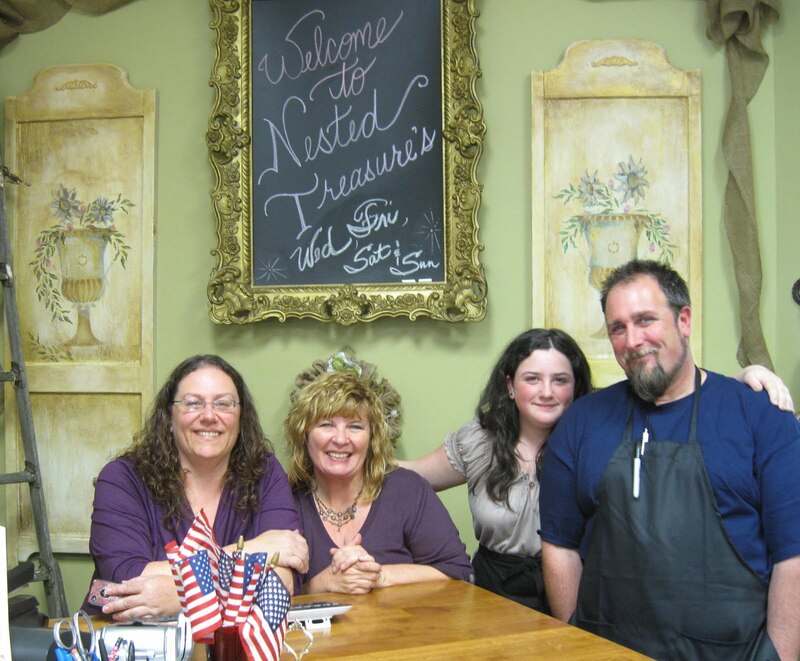 They're super friendly, I know that's a key ingredient in a great shop. The displays are all wonderful. 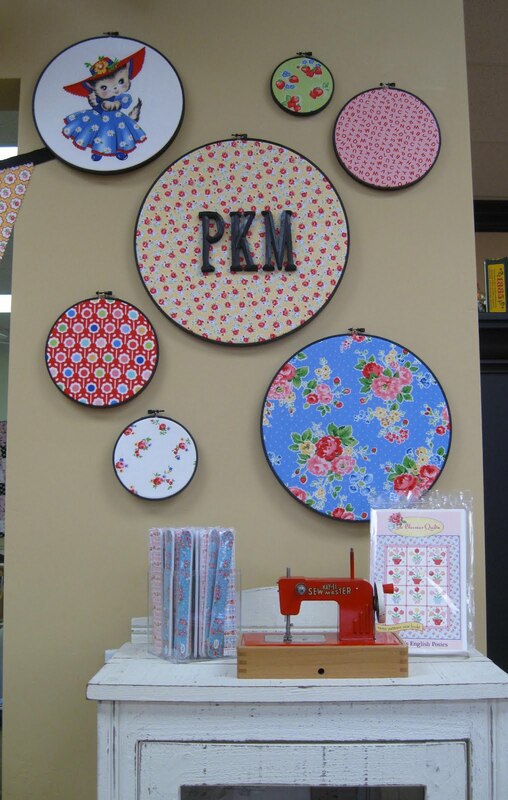 And not just the super cute PKM displays, all the displays are wonderful. 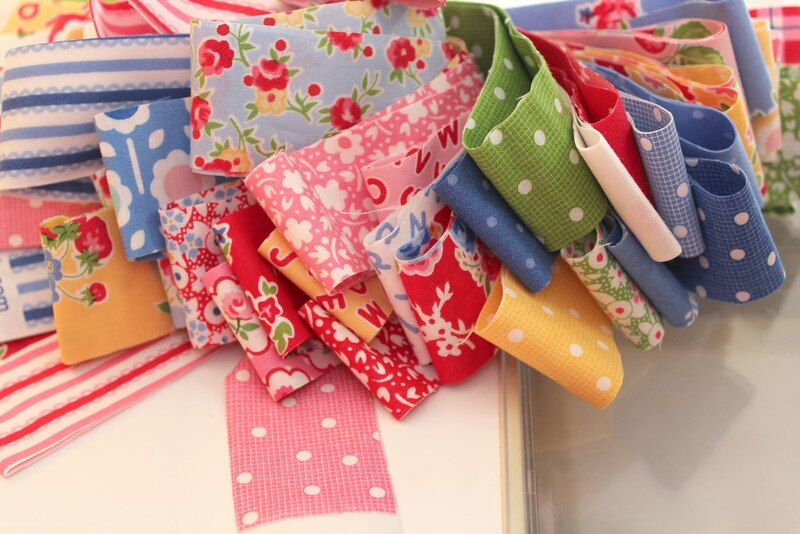 There's tons of fabric! And wonderful 'stuff'. You know, ribbons, notions, patterns, you name it. It's a happy place. I had a great time. Suzanne had a great surprise for me, a box of my very own Cherry Head candy that I'd seen on her blog (scroll for it, great post), and the cute scrapbooking supplies she used to make the tag on the PKM pillow tutorial. 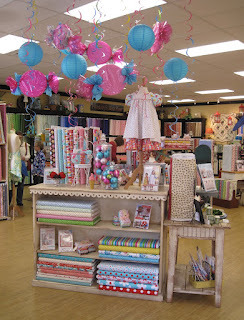 The three of us had fun, Frankie picked up some cute ribbon and some FOE (fold over elastic) They have a great selection. Good morning! I'm back from vacation and it was a lovely time! 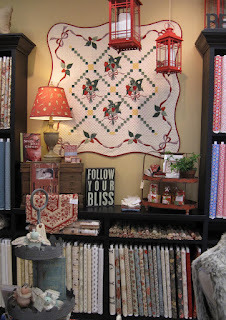 Lots to see at the CHA show, and then of course Disneyland. I had a great time hanging out with Roseann and will share more about that coming soon. 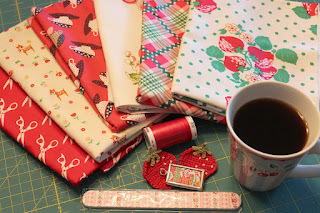 This morning I want to remind you all it's Aurifil time! This month is Sherri's turn. Just head over to the Aurifil blog and download you pdf to get stitching. 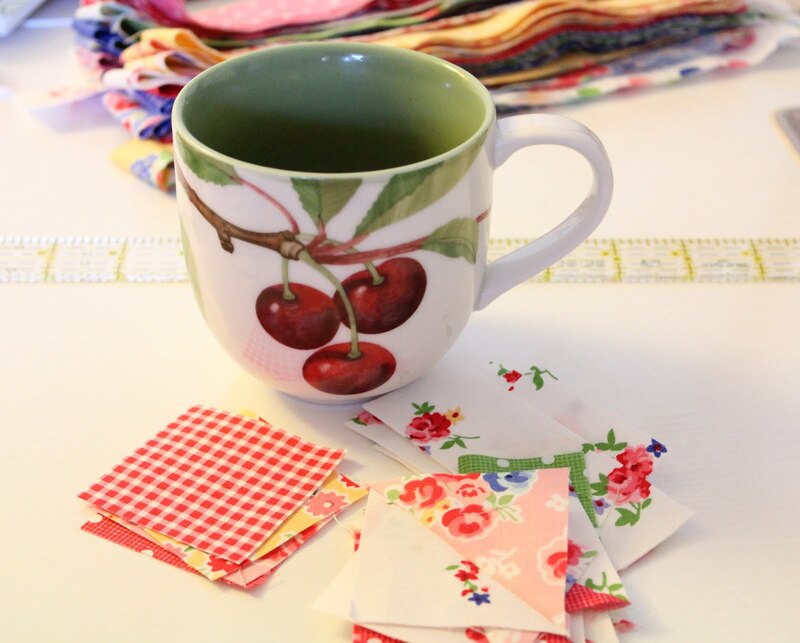 Remember to post your photo at our Flickr group of a project given by one of the Aurifil Designers of the month (see tab on right for all the profiles). One quilter EACH MONTH will win a prize of Aurifil thread! Just post a photo of your completed block. Everyone in the Flickr folder is in the running! Who wouldn't like to a chance to win some great thread?